Disclosure ~ This post is sponsored by Ford Motor Company. I know, I could keep saying that all day. You know when you get that super FUN email that you can’t stop jumping up and down? Well, I got it! 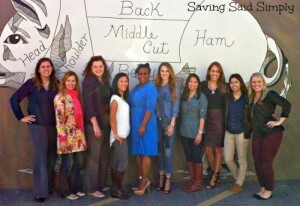 Ford Motor Company contacted me to have a FUN Girls Day Out. Me…Food…Ford Cars…Shopping…Mommy Break…Oh yes, this email had my attention. After the jumping up and down that immediately followed, I got to spend the day with some lovely ladies, a few Ford Cars and a stroll down Winter Park’s famous Park Ave.
We got an intimate little room at the Ravenous Pig for lunch. Talk about YUM! Everything was beautifully presented and delicious. How delicious, you ask? See that flounder over there. I HATE fish. But that one was so tasty, I finished the whole thing. 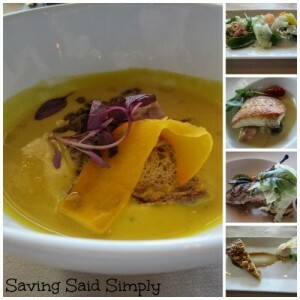 Pumpkin soup (perfect for fall), a light citrus salad, quail and the crown jewel apple tart were fantastic. If you haven’t eaten at the Ravenous Pig yet, definitely plan your next date night there. Then we hopped into our fantastic Ford cars (OH yes! We got to cruise in them!) 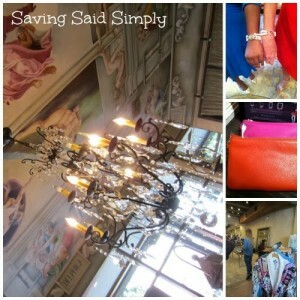 to Winter Park’s classy Park Ave. for some shopping! 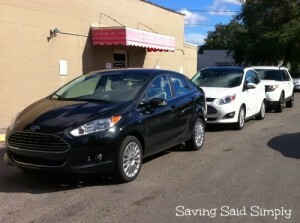 I got to ride in the Ford Fiesta. Don’t take it’s small size to heart. 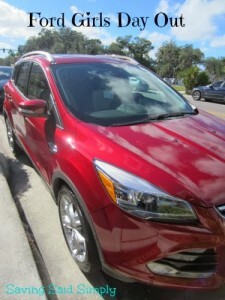 Just like me, this compact car packs a lot of OOMPH inside. It’s much roomier than you think (I had plenty of leg room), has a fantastic sound system and I love the reverse drive camera. We got to shop some of the wonderful small businesses in honor of Small Business Saturday (on November 30th). First stop was The Paper Shop. A super cute shop filled with all sorts of treasures from invitations to holiday gifts to unique jewelry to personalized iPhone covers. 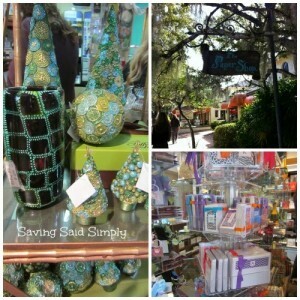 This quintessential Winter Park shop is a fantastic place to find that perfect something. Next stop was Hutton. This trendy Women’s store is a great place to find a stand out piece for your wardrobe. Chanel button bracelets, purses with hidden phone chargers (please tell Santa to bring me one), Kate Spade bags and beautiful clothing were just some of the highlights. Don’t let the beauty of the chandelier inside intimidate you. Hutton carries affordable pieces too. They have jewelry as low as $19. Our last stop was The Ancient Olive. I’m so glad that we did a little walking after lunch. I don’t think I could have enjoyed what was inside without burning a few calories. 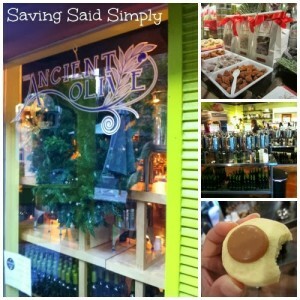 This beautiful store carries some of the most sought after ultra premium olive oils and balsamic vinegars in the world. Set up with a full scale tasting bar, the smells just permeate through the air. But there’s more. Taste the most delectable shortbread cookie I have ever had from Jane’s Short & Sweet and a yummy and sassy nut from Kernel Desires. I love that these companies have seamlessly come together under one roof to help promote each other. It just shows you how supporting small businesses DOES make a difference. In preparation for Small Business Saturday, I hope that you will stop by these amazing shops in Winter Park. All 3 stores will be having Small Business Saturday promotions to help you save on your holiday shopping. Support your local businesses! Sigh…it was a sad reality to be dropped back at my dirty car for the ride home, but what a great day. New friends, full belly, stores I’ll revisit for Small Business Saturday and a dream drive in some Ford cars, I had a great Mommy Break! I couldn’t help but leave you with a FUN Ford highlight. 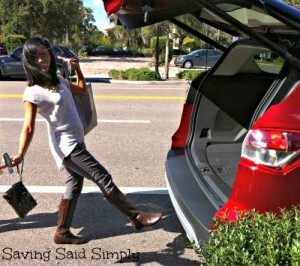 This is me using the AMAZING Hands-FREE trunk opening for the Ford Fusion. Could you imagine how many times I would need to use that? Dear Santa…. Disclosure ~ This amazing once in a lifetime experience is sponsored by Ford Motor Company. I got to enjoy this full day of fun for free plus received some great swag. Though the products and good time are free, the opinions are 100% my own! I love my Ford, but it is an older model. I would love one with a trunk that opened like that! Too cool 🙂 thanks for the preview on these fun cars!